genetic risk there are dilemmas to consider - should you have a test to see if you have the gene? Should you start a family? depression associated with the condition, which are covered here. 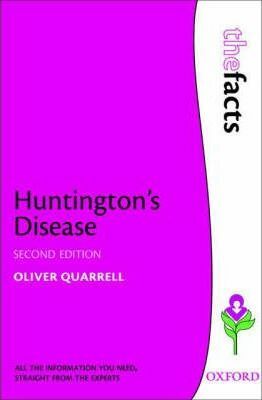 This edition also includes completely new chapters covering juvenile Huntington's disease and late-stage Huntington's disease, and a fully updated Appendix of relevant patients' organizations. Dr Oliver Quarrell has been elected to the Executive Council of the Huntington's Disease Association and currently serves as its vice Chairman. He is also actively involved in the European Huntington's Disease Network.